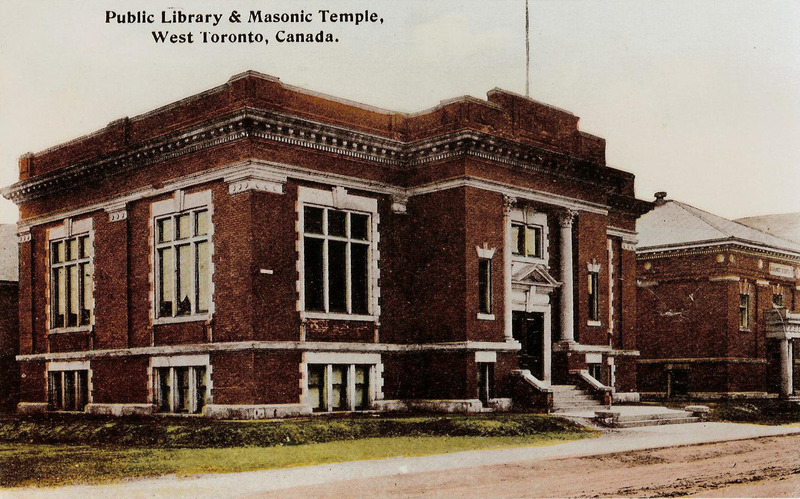 The Annette Street Library opened as the West Toronto Library in 1909, funded with a grant from the Carnegie foundation. Ellis and Connery’s design is in the Beaux Arts style, featuring multi-tone masonry and an exposed basement. The accessibility ramps are a later addition. 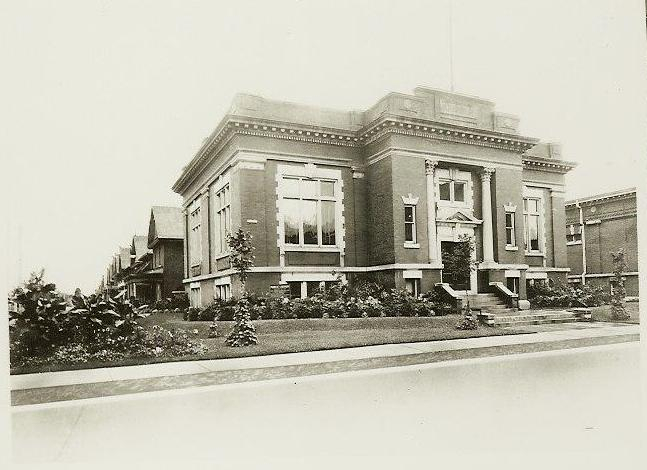 One condition of the Carnegie grant was that the library include public lecture rooms in its design. These are located in the basement and still used for this purpose today. Portraits of the first five mayors of the town of Toronto Junction hang on the walls of the main floor. and masses of acanthus leaves forming the column capital.